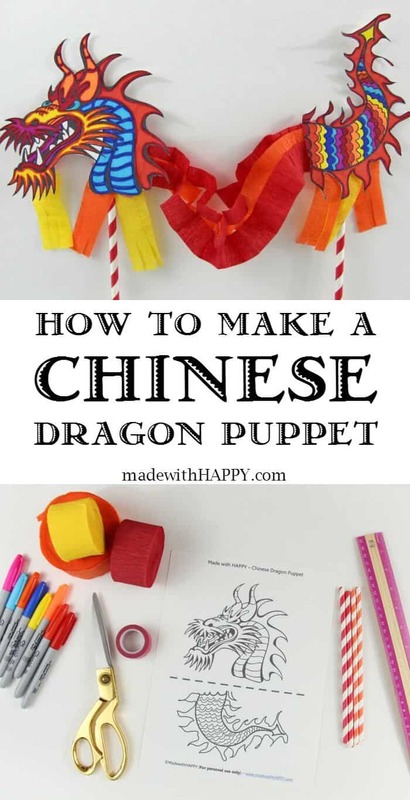 Looking for a fun childrens Chinese New Year craft, then I suggest making these fun Chinese New Year Good Luck Ornaments! 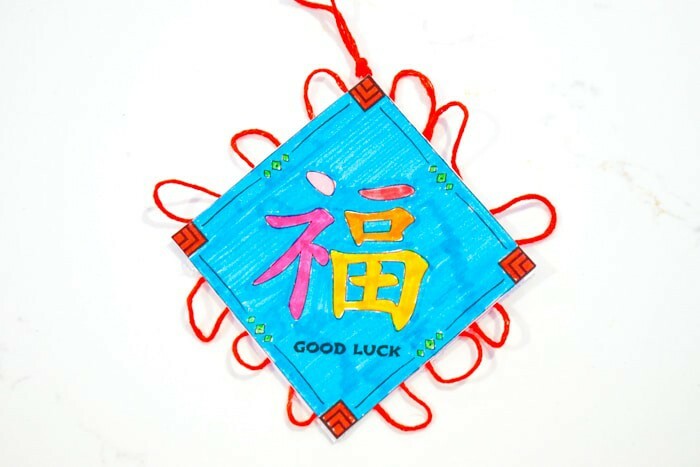 This year, I thought creating our own fun Good Luck Ornaments is a great way to celebrate the Chinese New Year. 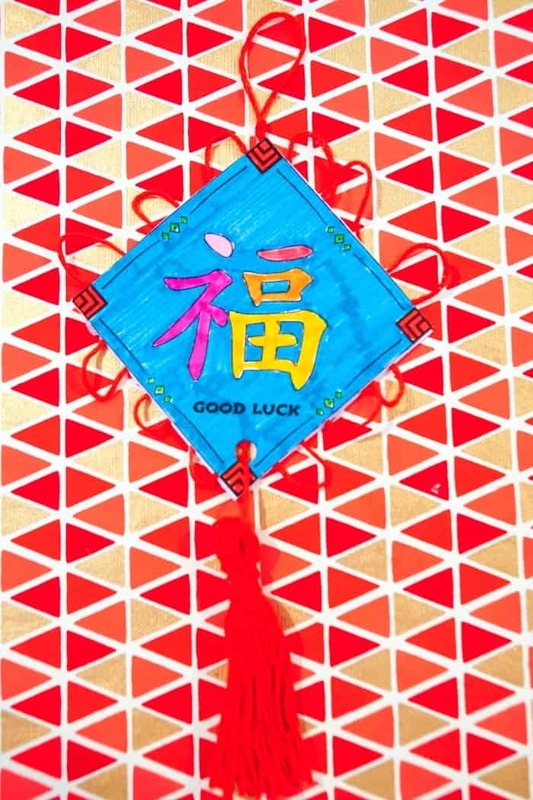 Who wouldn’t want to celebrate Good Luck? 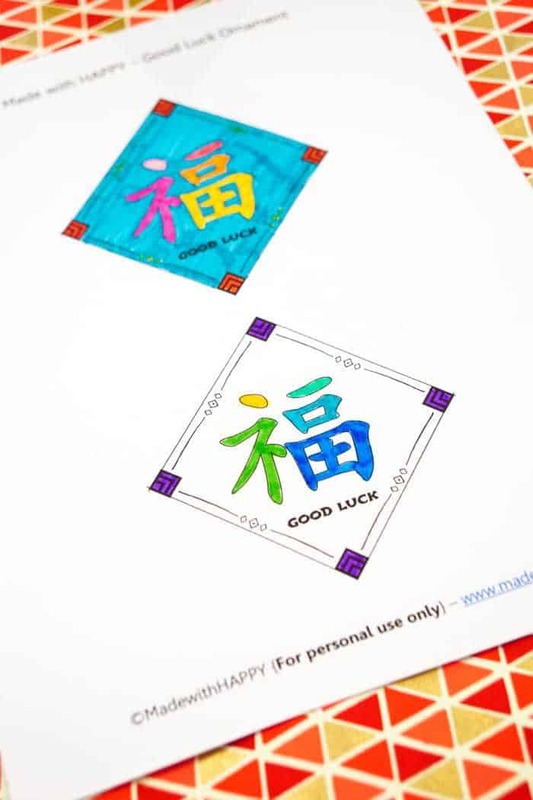 From what I’ve learned there are different translations to the Chinese Symbol Good Luck. 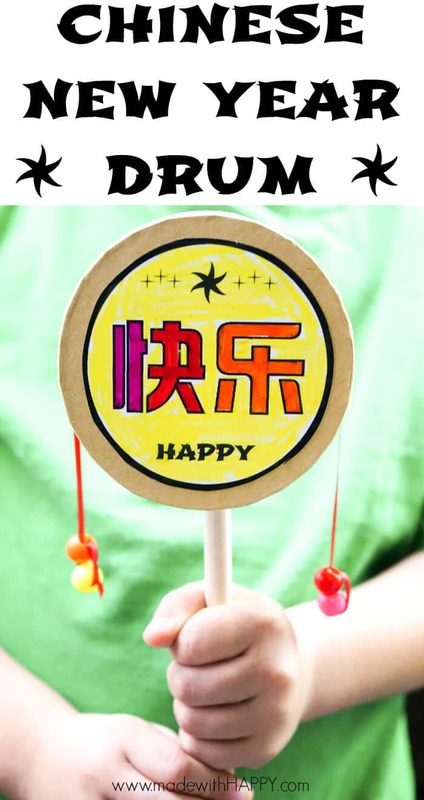 Others would say the same symbol means HAPPINESS. 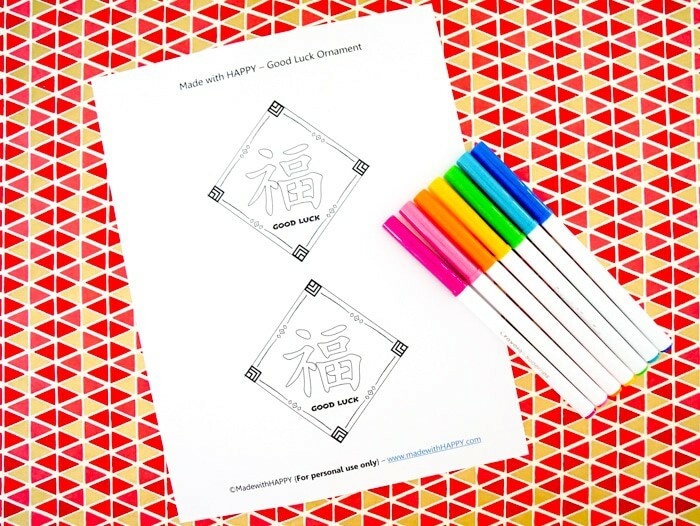 In either case, I think they are both really really Made with HAPPY, so we’re going to go with this symbol for Good Luck. 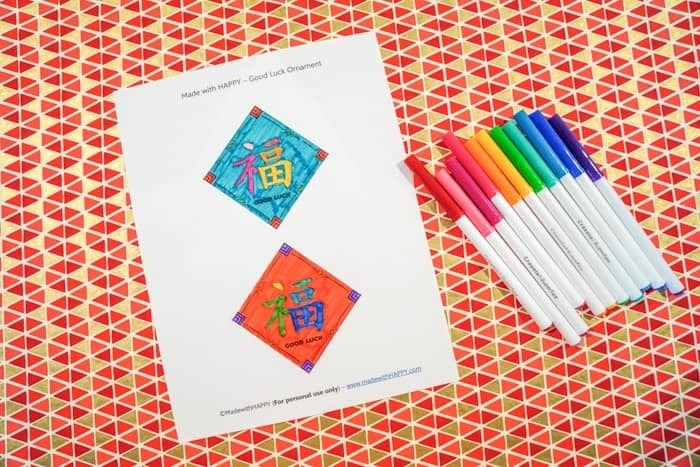 Once you print it out, give each child their own page to color. 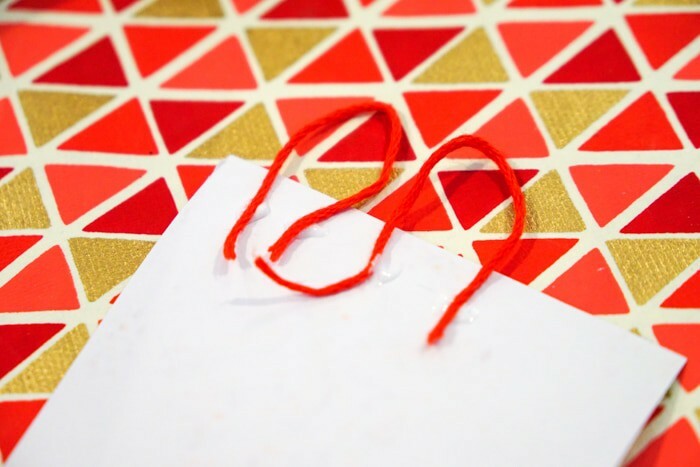 While the kids are coloring, take your embroidery floss (I used red, and cut 12 pieces each approximately 2 inches long. You will then need one piece that is three inches long for the hanging loop. 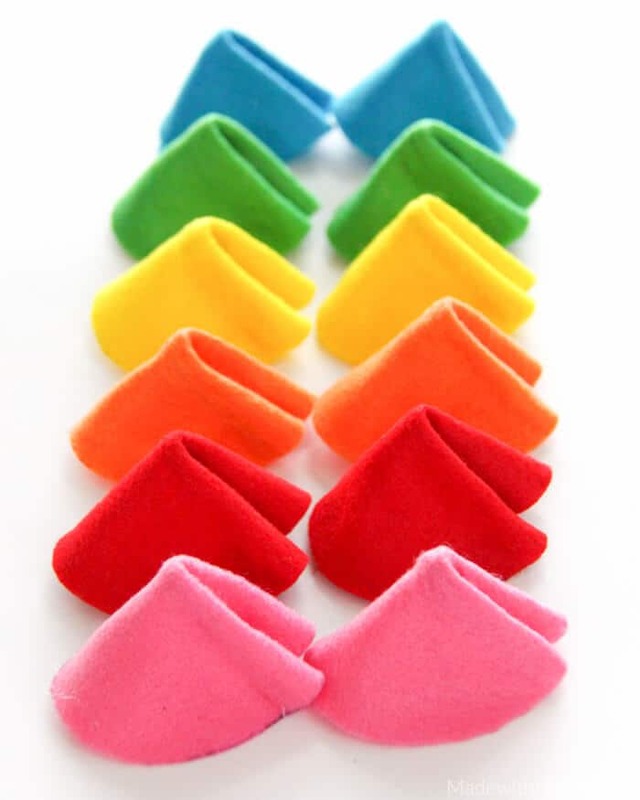 You will then use the remainder of the floss to create a tassle. Then cut out each square along the outside. Turn the square upside down and glue each piece of the embroidery floss in loops to the outside of each side of the square. Three loops per side is a good estimate. 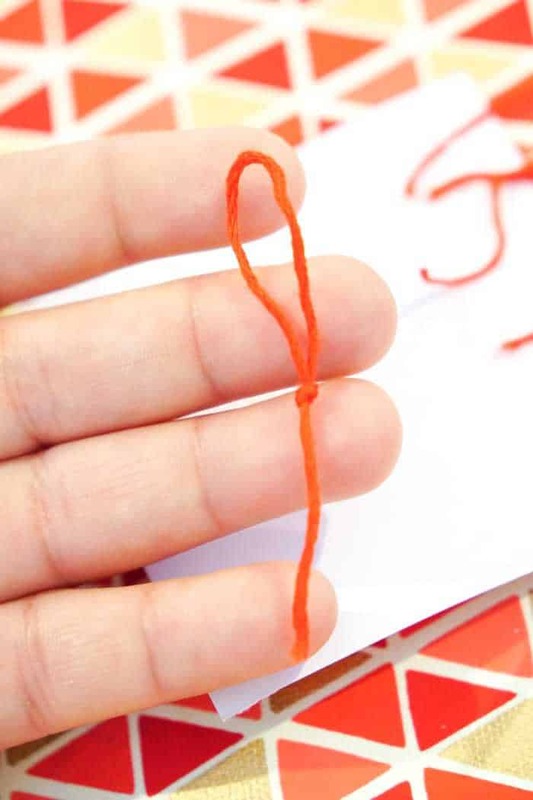 For the 4 inch piece of thread, fold in half and then tie both pieces together into a knot. You will glue the bottom of the hoop to the top corner of the square. Then glue the other square on top and you have your ornament. 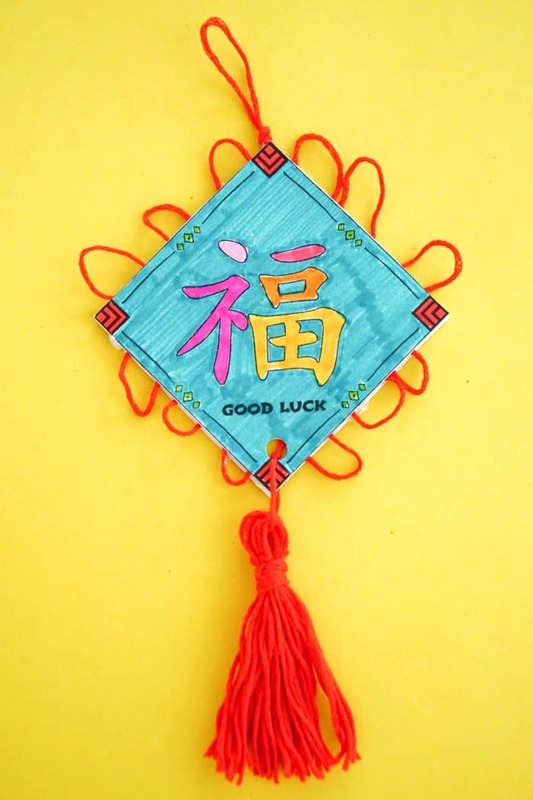 The last piece is to create the tassel. 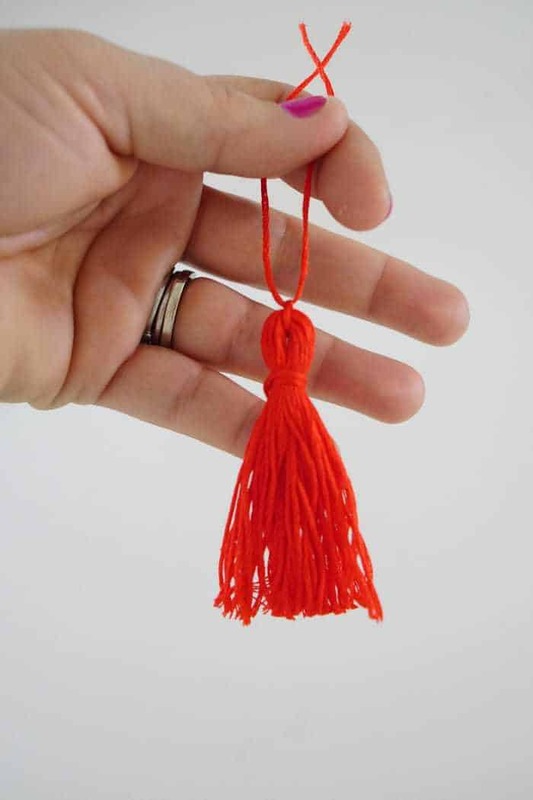 I have a how to make a tassle post showing you how to make them. You can attach it a few different ways. The first is to hole punch the bottom of the ornament and then tie the ends through the hole. The second is to glue the hanging strings into the ornament like you did the top hanging loop. In my opinion it will depend on the glue. 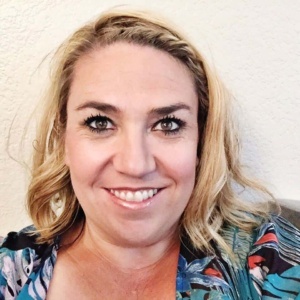 If you are using a simple white glue, you may want to go the hole punch route. If you use a more industrial strength glue, then it could hold the tassel.